If the words “happy” and “work” are put together, the phrase is likely to be perceived as an oxymoron to many people, who believe that it is near impossible to find happiness in the workplace. These people see their jobs as merely a financial means to an end. They lament about the drudgery of everyday work life — the “slow death” that saps their energy from day to day. If this state of affairs is the experience of many others, it is indeed a grim picture of working life, especially since most of us spend the bulk of our time (eight to 10 hours a day, five days a week) in the office. 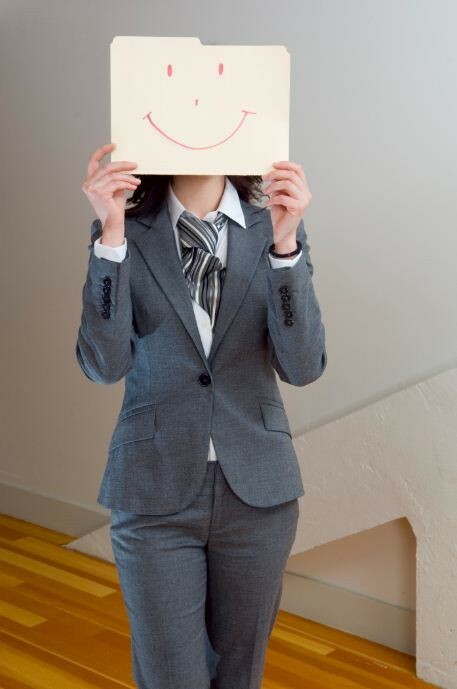 In 2011, a multinational survey of 14 countries ranked Singapore’s employees as the least happy. Some 42 per cent of those who were surveyed indicated that they were dissatisfied or more than dissatisfied with their jobs. With a rapidly changing business environment, it seems many people are struggling to keep pace with job demands. For years, human resource professionals have introduced various ways of increasing the engagement levels of their organisations’ employees, to improve their productivity in the face of global change. But what exactly is employee engagement? University of Chicago psychologist Mihalyi Csikzentmihalyi, who has studied the psychology of engaged workers at all levels, found that they create a hyperfocused state of mind. He calls it “flow”. People in flow are exhilarated and are remarkably unstressed even when doing challenging work. They lose themselves in a task they love and feel “out of time”. Their brains work efficiently and precisely. Interestingly, Csikzentmihalyi discovered that people are much more likely to be in flow while working than while involved in leisure activities. One way that organisations can engage their employees better is to ensure that an employee’s key performance indicators are clearly defined, because flow occurs most often when tasks are tightly aligned with the person’s goals. This allows the individual to be better engaged in his or her work. Also, a work station with minimal distractions encourages flow. From simple actions like switching phones to silent mode to temporarily removing any IM notifications, flow levels can be heightened. Sometimes, losing yourself in a project, especially one that you are passionate about, lets you to enjoy your work more. Employees must be encouraged to practise such behaviours. Is work good or bad? Essentially, this is ultimately a choice. Many of us choose to adopt a negative perspective of work simply because it is often easier to do so. Reframing is essentially a technique that allows us to adopt different ways or perspectives of looking at the same thing or situation. If you have trouble reframing the meaning of work, you may wish to apply a simple theory known as the Pain-Pleasure Principle. In going about our daily life, we attribute either a “pain” or “pleasure” meaning to an activity. There are always occasions where we are intrinsically motivated to perform a task or when we could do it out of fear. If we take work as an example, many would probably label it as “pain”, where the motivation to complete our tasks is generally extrinsic. For example, communicating with a difficult customer is an undesired chore that you perform simply because it is part of your job. If you don’t, the customer might complain to your supervisor and you will get into trouble. But perhaps you really enjoy marketing your company’s products. If you can focus on the parts of your job that you enjoy, and reframe the unpleasant aspects as opportunities for professional growth, this might be the way to achieve workplace happiness. It is a well-known fact that health and happiness are fundamentally linked. When you exercise, your brain releases “feel-good” chemicals like dopamine, serotonin and adrenaline and endorphins. These neurotransmitters combine to improve your moods and emotions. Even a 30-minute workout at the gym or a brisk daily walk stimulates these chemicals and makes you feel happier. Organisations can contribute to the physical and psychological wellbeing of their employees by encouraging them to be more active. A large computer company, for example, has over 30 fitness centres in 12 countries and regularly promotes a healthy lifestyle to its employees. Apparently, happiness can also influence our health. Years ago, in a groundbreaking finding, Carnegie Mellon University psychology professor Sheldon Cohen discovered that people who are happy, lively, calm or exhibit other positive emotions are less likely to become ill when they are exposed to a cold virus than those who report few of these emotions. Hence, in this positive cycle of health and happiness, both organisations and employees benefit. Happiness at work need not be a myth. But for it to become a reality, both organisations and employees must understand the benefits that this notion brings and work towards it. If both parties can see each other as equal stakeholders for mutual gain, job dissatisfaction will be a thing of the past and productivity will increase. Then perhaps, being happy at work may no longer be a pipe dream.